Add a plug to the extruder stepper motor cable ! The case slot design let me thought it would be easy to remove the filament feeder for transportation, good idea. But... did they forget that the stepper cables are going through the case with no way to unplug them ? Note that the unusual feeder itself is described here. Thus, there is no way to remove the filament feeder from the back of the printer, and the slotted design even becomes counter productive (eg. see my locking key for this separate issue). First, it is disgusting, with solder and contacts visible from the outside. I should print a nice case and hide this. Second, I cut the plywood (with a dremel) in the wrong place. I should have set the plug on the right side of the main cable hole, not just below where it conflicts a bit with them. Nonetheless, I can now unplug the filament feeder and leave in within the box when I travel. Also, I now can swap between different feeders without needing to unscrew the motor (as long as each of them has its own motor of course). 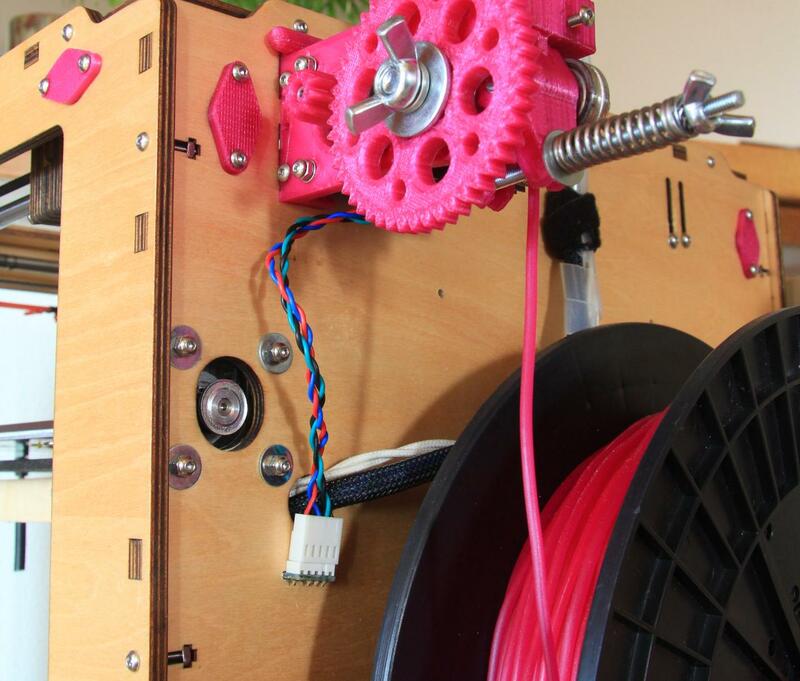 Review : which software for 3D printers?